Your privacy is important to us. To better protect your privacy we provide this notice explaining our online information practices and the choices you can make about the way your information is collected and used. To make this notice easy to find, we make it available on The Law Offices of Vincent W. Davis & Associates’ California Tenant Defense’s Website’s home page and at every point where personally identifiable information may be requested. Our Web site contains links to other Web sites operated by third parties. Vince W. Davis, Esq. is not responsible for the privacy practices or policies of such third party web sites and this Notice does not apply to those Web sites. This Notice applies only to the information collected by Vince W. Davis, Esq. from the users of our Web site. It does not apply to information collected by Vince W. Davis in any other way, including offline. In a few areas on our Web site, we ask you to provide information that will enable us to verify whether you are entitled to access and use certain information, materials and services available from our Web site, or to enable us to enhance your site visit, to assist you with customer service or technical support issues, or to follow up with you after your visit, or to otherwise support your customer relationship with Vince W. Davis, Esq. It is completely optional for you to participate. However, failure to participate may mean that you cannot access and use certain information, materials and services. In each of the instances above, we typically ask for your name, email address, phone number, address, law practice information, product preference information, ID number and password, as well as other similar personal information that is needed to register or subscribe you to services or offers. On occasion, we may ask for additional information to enable us to provide you with access to and use of certain information, materials and services. In the case of newsletters or mailing lists, you will be able to “unsubscribe” to these mailings at any time. The personal information you provide to us when using our Web site, such as your name, postal or email address or telephone number will be kept confidential and used to support your customer relationship with Vince W. Davis, Esq. and to notify you of special offers, updated information and new products and services from Vince W. Davis, Esq., offers from third parties that we think may be of interest to you, or used by Vince W. Davis, Esq. or third parties for the purpose of conducting market research or surveys on behalf of Vince W. Davis, Esq. Agents or contractors of Vince W. Davis, Esq. who are given access to your personal information will be required to keep the information confidential and not use it for any other purpose than to carry out the services they are performing for Vince W. Davis, Esq. Vince W. Davis, Esq. may enhance or merge your information collected at its Web site with data from third parties for purposes of marketing products or services to you. With respect to network advertising companies (companies that manage and provide advertising for numerous unrelated companies), to the extent that Vince W. Davis, Esq. utilizes such advertising companies to provide advertisements on our Web site, Vince W. Davis, Esq. may provide them with your log-in name and any demographic information about you that we collect. Those advertising companies may combine that data with non-personally identifiable data collected by the advertising company from your computer solely for the purpose of delivering on our Web site advertisements that are targeted to you. Circumstances may arise where we are required to disclose your personal information to third parties for purposes other than to support your customer relationship with Vince W. Davis, Esq., such as in connection with a corporate divestiture or dissolution where we sell all or a portion of our business or assets (including our associated customer lists containing your personal information), or if disclosure is required by law or is pertinent to judicial or governmental investigations or proceedings. We will send you information about our various products and services, or other products and services we feel may be of interest to you. Only Vince W. Davis, Esq. (or agents or contractors working on behalf of Vince W. Davis, Esq. and under confidentiality agreements) will send you these direct mailings. If you do not want to receive such mailings, simply tell us when you give us your personal information. Or, at any time you can easily opt out of receiving further marketing from Vince W. Davis, Esq. 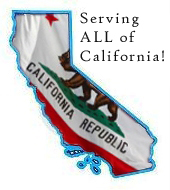 by emailing us at Lawyer@CaliforniaTenantDefense.com. You can request a copy of the personally-identifiable information that Vince W. Davis, Esq has collected about you via the Internet by contacting our Information Privacy Manager at the address below. You can also have factual inaccuracies in this information corrected by contacting this same person. The Law Offices of Vincent W. Davis & Associates., 150 N. Santa Anita Ave, Suite 200, Arcadia, CA 91006, or call us at (888) 506-6810.